The Victory Medal was also called the Inter Allied Victory Medal. It was awarded to those received the 1914 Star or the 1914-15 Star and, with certain exceptions, to those who were awarded the British War Medal. The medal was never awarded singly. Recipients of the Victory Medal were those having been mobilised in any of the fighting services and having served in any of the theatres of operations, or at sea, between midnight 4th/5th August, 1914, and midnight, 11th/12th November, 1918. Women who served in any of the various organisations in a theatre of operations were eligible, such as nurses, members of the Women’s Royal Naval Service, Women’s Army Auxiliary Corp, Women’s Royal Air Force, canteen staff and members of the many charitable services, also received the medal. The Victory Medal – a medal of the First World War – was established on 1 September 1919, and more than 6,334,522 were awarded. The medal was designed by the Aberdeen-born sculptor William McMillan (1887-1977). The medal is a bronze disk, 36 mm in diameter. The ribbon is 32 mm wide and coloured (from the centre outwards) red, yellow, green, blue and violet merged into a rainbow pattern. On the medal obverse is the winged, full length figure of Victory, with her left arm extended and holding a palm branch in her right hand. The remaining space is left bare. 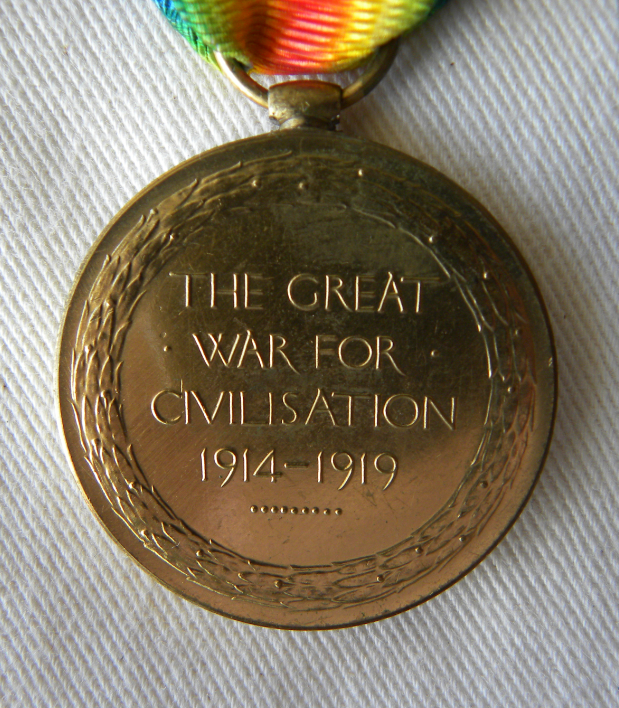 On the reverse of the medal is the inscription: THE GREAT WAR FOR CIVILISATION, 1914-19. This is surrounded by a wreath. 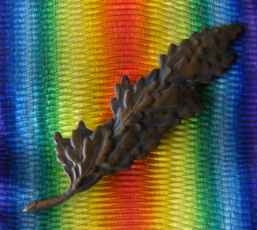 Those personnel who were ‘mentioned in despatches’ between 4 August 1914 and 10 August 1920 were able to wear an oak leaf on the ribbon. The Victory Medal shown here was the one awarded to Edinburgh University alumnus William Hunter who served in Serbia during the Great War. Hunter was President of the Advisory Committee, Prevention of Disease, in the Eastern Mediterranean and Mesopotamia (Gallipoli, Egypt, Salonika, Malta and Palestine), and he also served with the Eastern Command, 1917-1919. His service is described in greater detail in the May 2015 post to Untold Stories, ‘William Hunter & the Order of St. Sava’. The Medal is contained within the collection of Medals, awards and decorations of William Hunter (1861-1937) curated by the Centre for Research Collections (CRC), Edinburgh University Library, Coll-1146. This entry was posted in Uncategorized and tagged Victory Medal, William Hunter (1861-1937), William McMillan (1887-1977) by eddiegd. Bookmark the permalink.